Find a dentist you can trust to care for you when you need it, at reasonable prices. 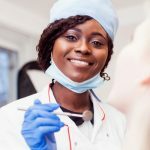 When considering the varying types of dental specialties available the many you may have found yourself wondering, “What is endodontics?” Endodontics is the dental speciality that deals with treatment and retreatment of the dental pulp and gingiva. Endodontics is a highly-specialized field, and even inexpensive endodontics generally cost 30%-40% more than more run-of-the-mill procedures. Dentists who practice endodontics should be expected to have state-of-the-art equipment: operating microscopes, digital imaging, ultrasonic instrumentation, and fiber optics. But don’t just panic into searching for free or low cost dental care; the following post has all the information you need. Momentary sensitivity to hot or cold foods could be caused by mild decay or a loose filling. 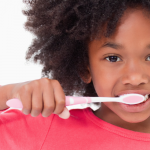 It can be treated by adjusting brushing methods to a gentle up/down motion in order to not irritate or further loosen a filling. See a general dentist if it persists after several days. Sensitivity to hot or cold food after dental treatment is usually caused by slight inflammation due to the dental treatment. It’s normal, and should only cause concern enough to see your general dentist after a prolonged period (2-4 weeks). Sharp pain when biting down could be due to loose fillings, decay, or a cracked tooth. 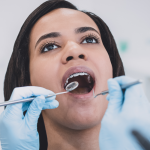 A general dentist can evaluate the source of the problem, given the fact that it could also be because of damaged pulp tissue inside the tooth. In this last case, your dentist would then counsel you to get low cost endodontics. Pain lasting 30+ seconds after exposure to hot or cold foods indicates irreversible damage to pulp because of decay or trauma. Either a general dentist or an endodontist can perform the necessary root canal in this situation. Severe, constant pain, pressure and swelling of gums should set off alarm bells. All of those symptoms point to an infection, which could rapidly get out of hand. Don’t wait to contact an endodontist for an emergency appointment. Until then, taking over-the-counter NSAIDS can help manage the constant, severe pain. Dull ache and constant pressure in upper jaw is often just due to bruxism–the grinding of teeth. However, chronic, severe pain is always a sign that you should see an endodontist. Mouth pain is no laughing matter. When neglected, there is always the risk of infection and in rare cases, infection can spread to other parts of the body, including the brain. Fortunately, Penn Dental Medicine provides reliable, inexpensive endodontics. If you live in the Philadelphia area, it’s also very convenient and easily accessible. If you don’t, it’s still worth the trip! Although endodontic treatments have higher fees than regular dental procedures, PDM’s costs roughly half of what private practitioners charge. 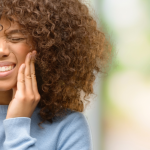 If you have constant pain, pressure or tooth discomfort, don’t hesitate to contact Penn Dental Medicine.